Action For Nature, a San-Francisco-based non-profit, is now taking applications for the 2010 International Young Eco-Hero Awards, which honor youth ages 8 to 16 for their outstanding accomplishments in environmental advocacy, environmental health, research and protection of the natural world. Award recipients will receive up to $500 cash, an award certificate, and other forms of recognition. The application deadline is February 28, 2010. 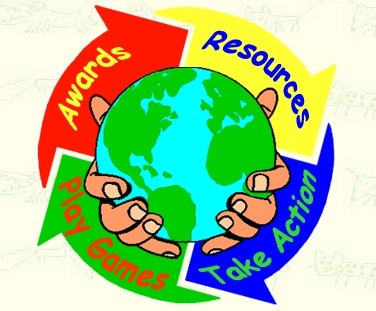 Action For Nature’s mission is to encourage young people to take personal action to nurture and protect a healthy environment on which all life depends. Now in its eighth year of the International Young Eco-Hero Awards, the organization has honored 90 young people from 13 countries and 24 states in America. Previous award winners have continued to receive other prestigious leadership, environmental and science awards, such as the Brower Youth and Intel Science awards. They’ve also taken part in local, national and international media interviews. Alec Loorz, a 2008 award winner, has continued to educate youth and adults about global warming and has spoken to more than 20,000 people. Alec, who is now 15, is the youngest member of Al Gore’s speaking panel, and was recently asked to assist with a presentationbefore the U.S. Senate. Former award winner Otana Jakpor, 16, researched air purifiers and ozone emissions and successfully advocated for change in California. Her findings resulted in the first-ever state regulation of ozone-generators. She has since been honored by the Environmental Protection Agency and has become an official spokesperson for the American Lung Association. She has also had her work published by several science journals.